What a friendly guy Philippe is, I can tell you this. However, after he and his team provided me and the team of Ocean Encounters Diving with instructions, it was time to go on board. One of our main goals was to find and film Lionfish. 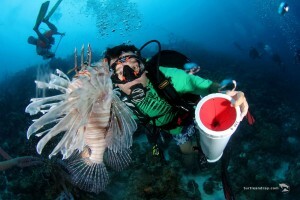 Jeremiah our boat captain and Pol, our Lionfish expert and experient Lionfish hunter was part of the adventure. 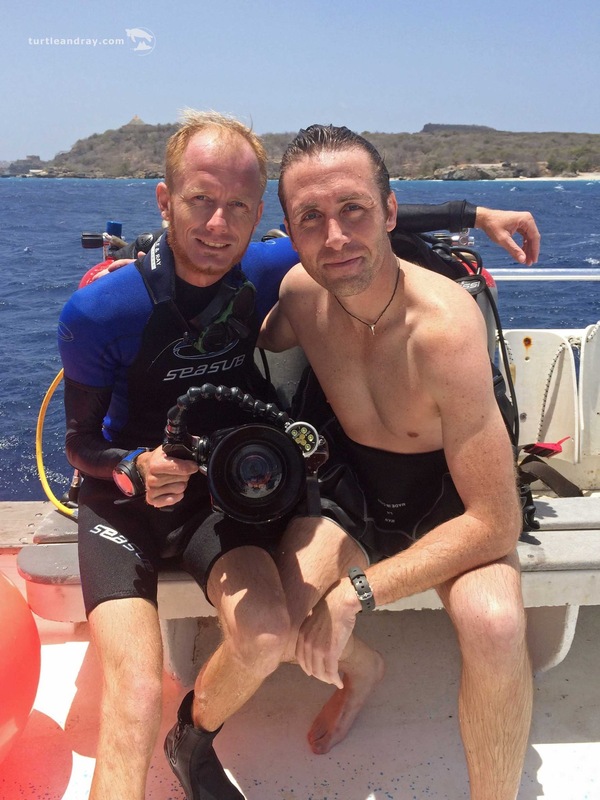 Fortunately the famous invader from the Indian Ocean is easy to spot, so Philippe, Pol and me decent down into the amazing underwater world of Curacao. 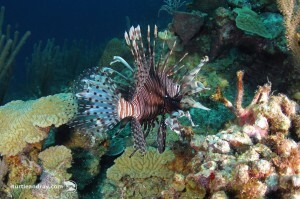 And there it was, beside beautiful corals, colorful sponges and schools of fish, the Lionfish. It almost looked like it was waiting for us. It seemed like it was saying “film me, film me”. So I turned on the camera and my underwater light, checked once more settings and angle of approach… But huh, what happened? Pol was already closer and within a second his spear soared though the water right into the beautiful creature. It twitched once or twice before it was motionless dead. 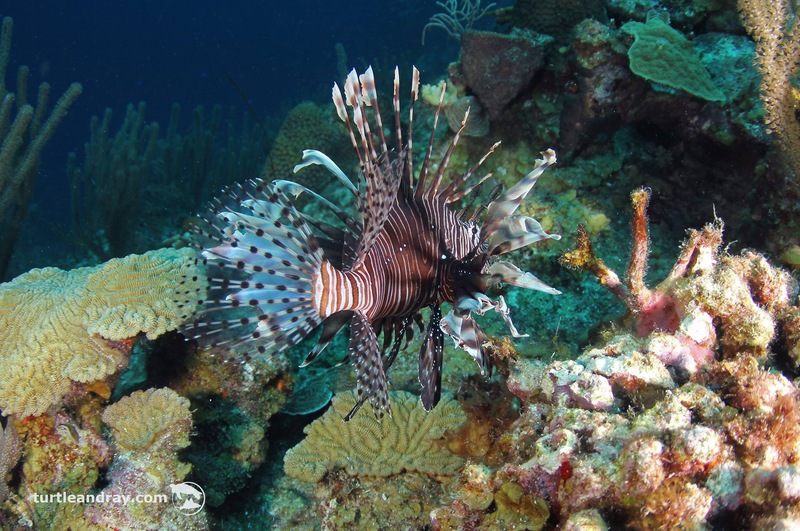 Yes, we hunt Lionfish on Curacao. Maybe you think this is ruthless or cruel, but it is necessary to minimize population, since it is an invader to the Caribbean and have no natural predator.